All Power to the People this summer! PRINT and send this FLYER INSIDE! The Incarcerated Workers Organizing Committee. 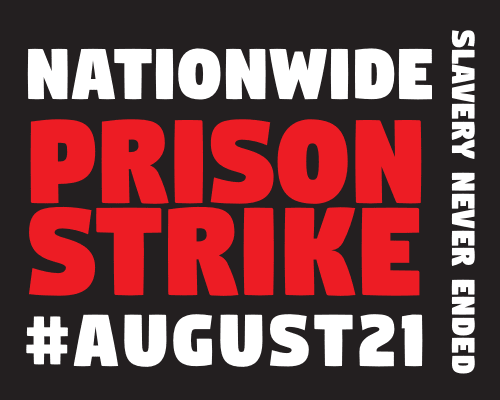 The Final Straw interviews two outside organizers, Amani Sawari and Brooke of IWOC about the upcoming national prisoner strike starting on August 21st and continuing through September 9th, 2018. Rebels incarcerated in prisons across the nation declare a nationwide strike in response to the riot in Lee Correctional Institution, a maximum security prison in South Carolina. Seven comrades lost their lives when prison officials turned their backs on a riot they provoked. We are demanding humane living conditions, access to rehabilitation, sentencing reform and the end of modern day slavery. First issue of the 2018 national prison strike newsletter.